We search. We select. We suggest. In the movie Devil’s Advocate there was a line that spoke to my heart. “-What about love? - Overrated. Biochemically no different than eating large quantities of chocolate.” True of false, it doesn’t really matter. 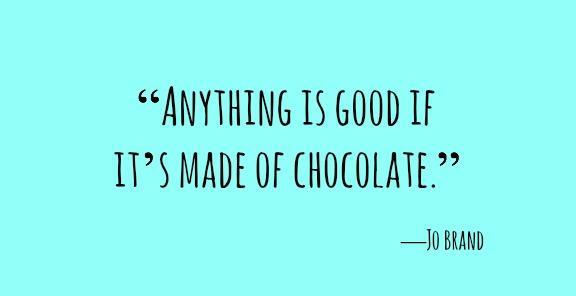 The truth is that there is not a single one ingredient out there more mind-blowing, more seductive than chocolate. A dessert that celebrates chocolate like no other, a dessert that enjoy a worldwide reputation as the confectionery’s gift to mankind is, without a doubt, chocolate soufflé. It has a reputation for being temperamental and particularly finicky, but they’re actually quite simple. 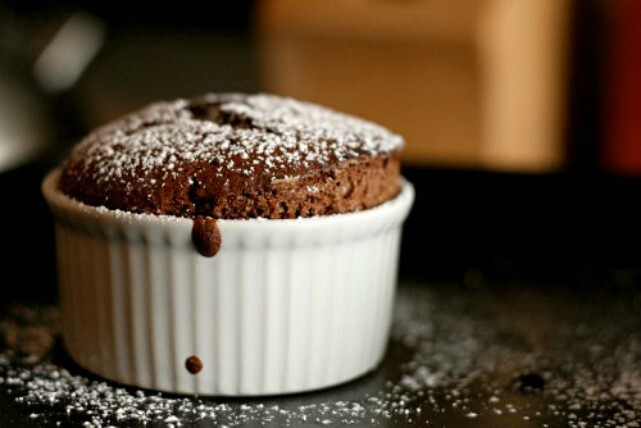 This chocolate soufflé, with a heavenly molten center and a soft and springy exterior, is a pure chocolaty decadence from the inside out. The best part of this recipe is that requires no special tools or skills, just a few staple ingredients. Follow the steps and you can whip up, with no blood, swear or tears, a dessert that's guaranteed to impress. First thing first, coarsely chop the chocolate. Melt the chocolate pieces in a metal bowl set over a saucepan of barely simmering water, stirring occasionally until smooth. You can always use the microwave to melt the chocolate. Take two bowls and separate egg whites and yolks. Beat until light the egg yolks with 25 gr. of powdered sugar. Then, add the chocolate and whisk lightly until incorporated. At the same time, boil into a small saucepan 125 gr. of powdered sugar with 6 tbsp water for 4 minutes. In the other bowl, beat the egg whites until stiff peaks form and then, add gradually the syrup and keep mixing until homogenous. Fold egg-white mixture into the chocolate one and, with a rubber spatula, gently cut down through center and lift up some base from bottom of bowl. Continue this procedure until combined. Lightly butter six oven-proof bowls and coat them with granulated sugar, tapping out excess. Split the mixture evenly into the bowls and put them in the refrigerator for one night. Next day, bake the soufflés in a preheated oven at 200°C for 8-10 minutes. 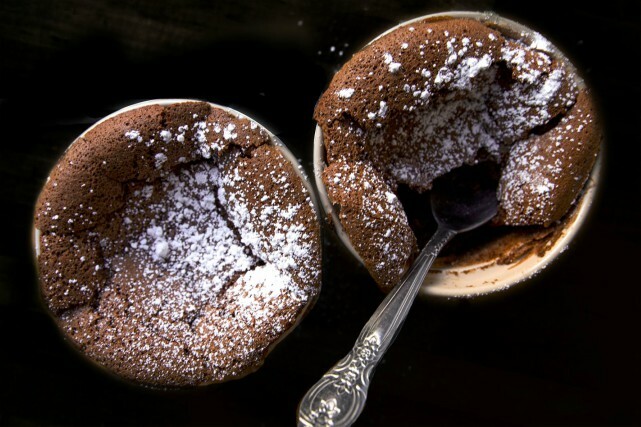 Once the soufflés are ready, dust with powdered sugar and serve immediately. Ideally, you can serve them with a scoop of ice cream. « The iconic grilled cheese.